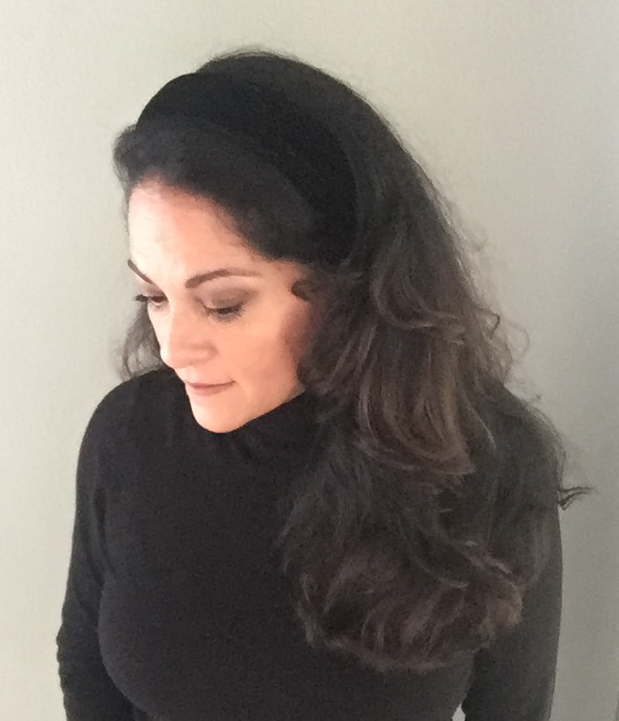 Thick silk velvet layered over a 1 1/2" French headband which will give your hair height and this flexible headband allows you ultimate comfort. 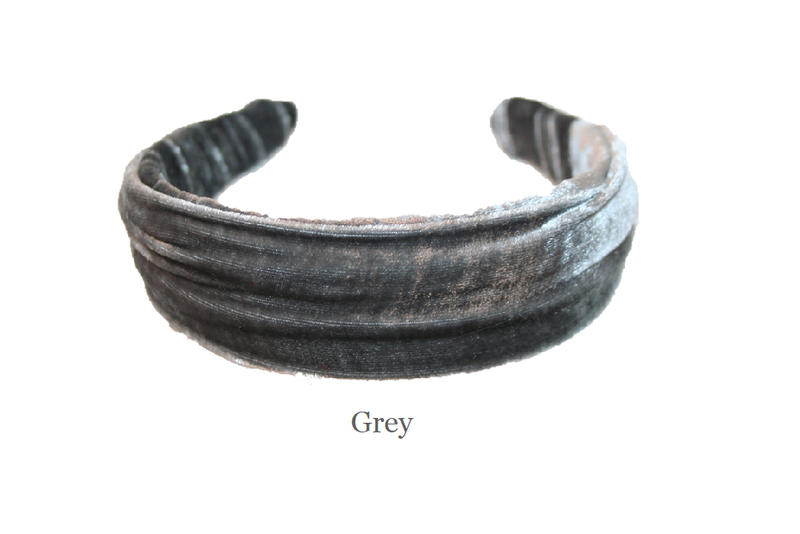 The texture of the velvet helps hold the headband securely in place. Classic and Elegant. Shown here in red silk velvet and a few of our other color options. On our model in black. A perfect headband for fall.